Though Theodor Mommsen was probably unaware of it, from the time of the first appearance of his influential & successful “Romische Geschichte” (1854), he was the object of the passionate & enduring hatred of an obscure Swiss philologist in the provincial city of Basle. Johann Jacob Bachofen is still not well known in the English-speaking world. He receives a brief mention in most histories of anthropology for his contribution to the popular 19th-cent. 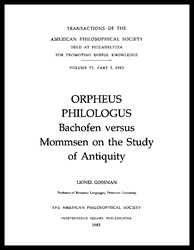 theory of “matriarchy,” & his studies of relations in matrilinear societies. 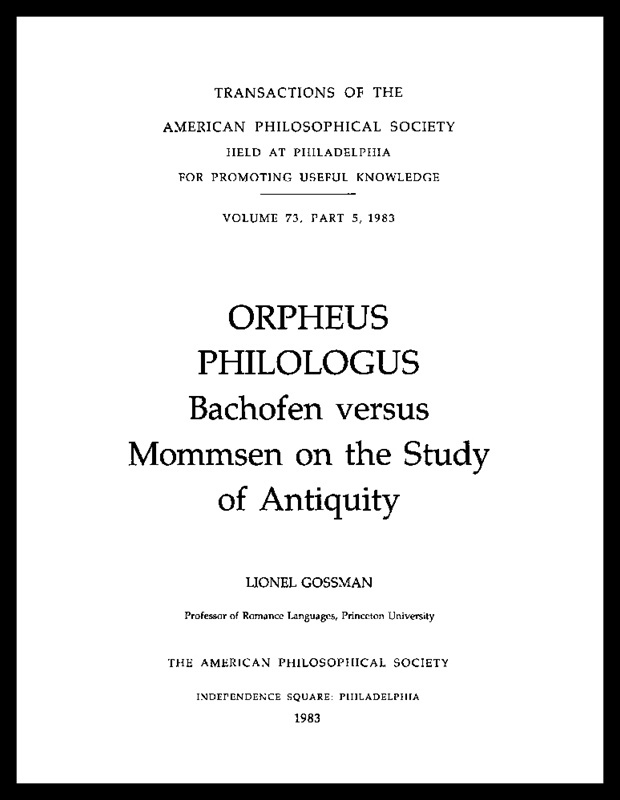 Classical scholars know of Bachofen’s original contributions to the study of Greek myth & tragedy through George Thomson, whose interpretation of Athenian tragedy owes much to Bachofen.